Is Anchor.Fm Going to Change the Social Media Landscape Again? The fact that so many of you would say Anchor what? Anchor who? is totally understandable. The social media landscape changes quickly. For anybody who is not in the know about all things social then probably Twitter, LinkedIn and of course Facebook or maybe even Snapchat and Instagram seep their way into your lexicon from time to time. The one thing all of these have in common is the need to cultivate a community. The people that use them recognise this and are responsible for keeping those communities alive. Anchor.fm is yet another social community. It is the community with one major difference, it thrives on the spoken word. It was started by co-founders Nir Zicherman and Michael Mignano back in early 2016 and was immediately embraced by early adopters, including myself. There was an immediate sense of community where people shared ideas, funny stories, comedy, knowledge and everything in between. At that time the idea was that you would open up a topic by leaving a two-minute discussion point after which time others within the community could respond using only one minute. The platform enjoyed success and seemed to have a really loyal user base. We communicated with each other all day every day in the form of waves. Waves were the name given to the audio interactions. 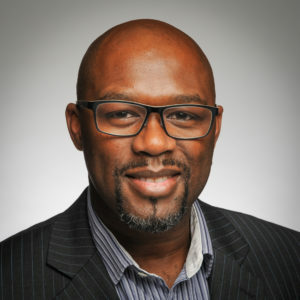 These interactions could be shared both within the app and also online, via a web interface for those who had no account to also listen to the broadcast. Being able to share these broadcasts on Twitter also added to the reach and popularity of the platform. 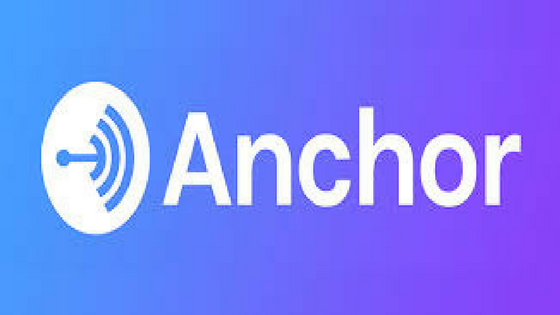 Well, now that you’ve had a history lesson many are excited recently because Anchor has reinvented itself again with its latest update. They’ve added some really impressive artificial intelligence called ‘The Rundown’, which delivers the news and weather in a VERY personal way. However, not everything about the platform has been so widely appreciated. It appears that the idea of ‘waves’ has now been abandoned in favour of calling them a ‘broadcast’ instead. These broadcasts are broken up by sections which can include sound effects, music and even insertions from other peoples broadcast into your own. This creates opportunities to make very immersive broadcasts and as usual, early adopters can become influencers on the platform as a result. Overall I’m pretty sure that it is going to become an equally addictive platform offering the users instant access to a community and feedback on whatever subjects take their fancy. Anchor segments broadcast into categories such as Technology, News, Entertainment etc. So far it’s clearly reignited some of the buzz that it had when it was first introduced. Anchor has gone through a complete redesign which has resulted in a change of user interface. The new interface offers users the chance to respond to other people’s broadcasts either with their own commentary or by doing what is called an ‘echo’. Any broadcast can be ‘echoed’… and by doing so becomes a part of your own broadcast. Your profile is now referred to as a ‘Station’. Therefore now it’s best to think of the new Anchor interface as providing you with your own radio station. CALL-IN’s (which I mentioned earlier. They provide an opportunity for you to respond and reply directly to a broadcaster. Interestingly the broadcaster now has the power to publish your comments or keep them private). Previously in Anchor 1.0 everything that you said was archived allowing you to reshare or repurpose as you liked perhaps across your other social platforms. Oh, another big change is that Anchor 2.0 has ditched the permanent archive in favour of deleting your content after just 24 hours, as is ever increasingly the latest trend in social apps. I have to say I actually like this. The idea of making a fool of yourself and it disappearing 24-hours later brings back a bit of fun to social media in a world so obsessed with the opposite. However, you can set your broadcasts to be automatically saved thus allowing you to re-share them in the future if you chose to ‘Echo’ the broadcast, (which is Anchors name for the re-share). When Anchor 1.0 first came out I enjoyed it but found that I soon got on with other things… However, that did not stop the sense of community for those who hung around and continued to both use it and recommend changes to it. People had their questions answered and found partners and collaborators to support them in their goals. Friendships were formed and moved to other platforms such as Twitter and Linkedin (of course). The point here is that as a social tool maybe even considering it a social selling tool, Anchor has the capacity to create some long and lasting changes in the way that people communicate. I am not sure that all of the changes in Anchor 2.0 are welcomed or whether they are even user generated. They could more likely be the result of creating a platform that has the potential to better suit radio-style advertisers, but one thing is for sure, it could become a very engaging community again very very quickly. Overall I would say that they’ve done a good job of updating the platform. As is always the case I guess the only way to know is to try it out for yourself. Update: June 2017: It turns out that at the time of writing this I was unaware of how right I was to become. Anchor is now the easiest way to make a podcast, ever. Check it out to find out how.